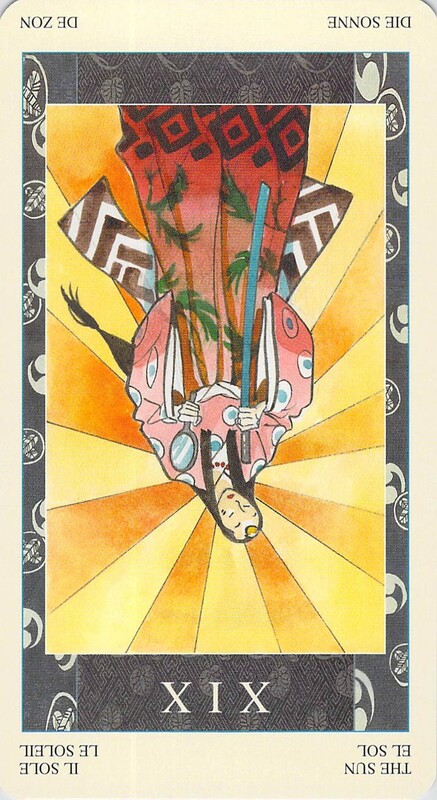 Cards for the Day: Reversed Sun/Reversed 3 of Pentacles: Depression Clouds the Joy of Being Together…Or Does It? 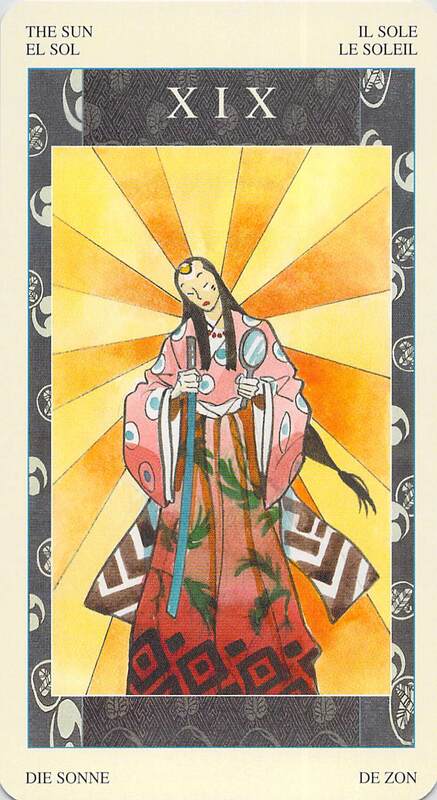 In the Samurai Tarot, the Three of Pentacles is a little different from the Rider-Waite Three of Pentacles. 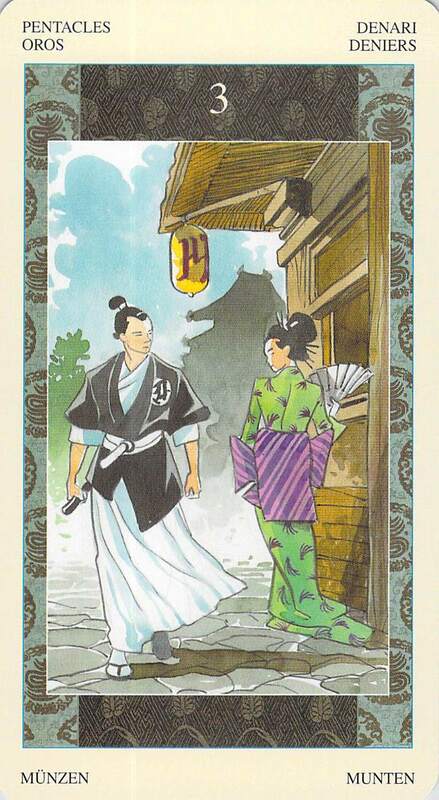 Instead of being a card about working together, it’s a card about falling in love. The Sun has to do with the joy of the present moment. Reversed, both these things are blocked. We should be taking time to simply enjoy each other’s company, but some sadness or depression is clouding that joy or getting in the way of it. Why? Is this really necessary? Or can we take action to turn these cards right side up again? Even if the joy of the present moment is muted, it is still the present moment and still all that we have.